The American seabed exploration company Ocean Infinity, which spent three months searching for the missing Malaysia Airlines flight MH370, has ended its mission in the southern Indian Ocean. 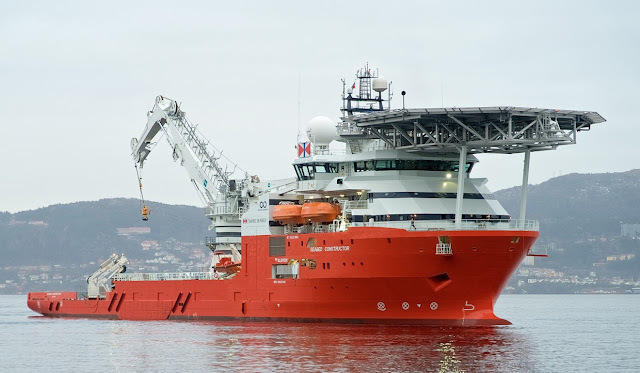 Seabed Constructor – the vessel Ocean Infinity leased for the search – is now heading for the port of Dampier in northwestern Australia. The company’s “No Cure No Fee” contract with the Malaysian government ended on May 29, but Ocean Infinity continued to scour the ocean depths with its state-of-the-art Autonomous Underwater Vehicles (AUVs) and only brought its search to an end early yesterday morning (Friday), local time. The weather in the southern Indian Ocean will be too rough up until about November for any further underwater searches to be carried out. Despite lengthy searches in the southern Indian Ocean – initially by an Australian-led team – not a trace of the plane has been found. The only debris discovered that is believed to have come from MH370 has been found off the coast of Africa. Ocean Infinity has searched, and collected data from, an area far in excess of the initial 25,000-square-kilometre target. The company has not yet made a final announcement about the total area searched, but it is estimated to be at least 125,000 square kilometres. READ THIS FULL ARTICLE ON CHANGING TIMES MEDIA.